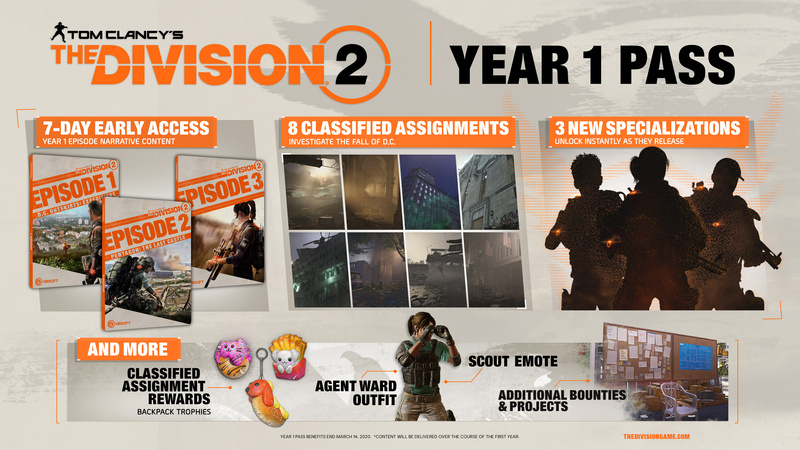 Get on the frontlines of the fight to take back the streets of Washington D.C. in Tom Clancy’s The Division 2 with the Year 1 Pass! Warning: This content requires the base game Tom Clancy's The Division 2 purchased through Uplay or the Ubisoft Store in order to run. 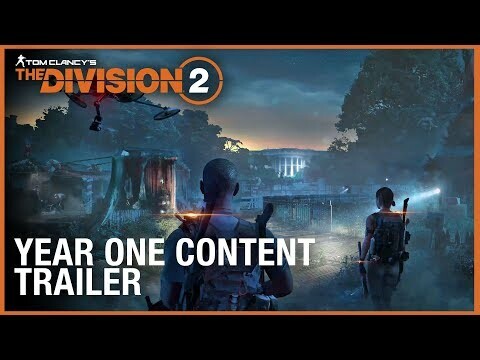 • 7 Day Early Access to all Year 1 Episodes – Play the narrative content of the episodes early and further immerse yourself into the world of The Division 2. • Instant Unlock of 3 New Year 1 Specializations – Play the three additional Specializations immediately as soon as they are released across Year 1 and earn exclusive cosmetic rewards. • Exclusive Access to 8 Classified Assignments – Discover more of the story behind the events leading to your arrival in D.C. and receive a unique and exclusive backpack trophy which you can equip for every Classified Assignment you complete. • Exclusive Cosmetics – Don the exclusive outfit of Heather Ward, a highly specialized agent and demolitionist, and stay vigilant with the special Scout emote. Developer: Massive Studio in collaboration with Ubisoft's Annecy, Red Storm, Reflections studios, Ubisoft Bucharest, Ubisoft Shanghai and Ubisoft Leamington.